It’s no secret that I love to travel to Europe and explore new locations and revisit old haunts. Each country has its own beauty, charm and historic finds that draw tourists year after year. One country that I’m very fond of is France, not for its people, but for its enchanting and picturesque villages that are the heartbeat of this romantic country. I feel I need to address an ‘Awkward’ point about the French people, in general. Traveling has its issues and unfortunately, you may run into unkind people like we did in France each time we visited that country. Many will confirm they’ve experienced the same kind of treatment, while others may be incensed that I took the liberty to speak my mind. I have been to France on several occasions and one big thing that stands out is their blatantly bad behavior. They are not the friendliest people and have the reputation of being rude, disrespectful, arrogant and cold. We were immensely polite, but it was never reciprocated. So if you travel to France, don’t expect to be greeted with open arms, a pleasant smile, hospitality and all the help you need. It probably won’t happen. But, France itself is such a pretty country and beckons to be explored. You’ll find yourself aching to go back to experience its historic and photographic charm. I love finding quaint places that are off the beaten path and void of throngs of tourism, but that is getting harder and harder with the internet and word of mouth sharing these resplendent locations. One village that should be experienced is the hidden gem Montrésor, it’s listed as one of the most beautiful villages in France. Montrésor is a small, charismatic, medieval village located in the heart of France. 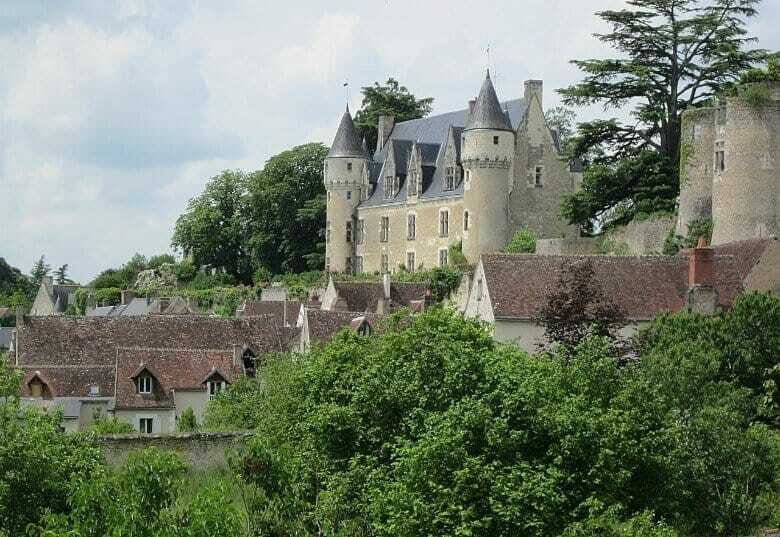 It rests ethereally on the Indrois River banks with an enormous castle as its backdrop. Montrésor’s history goes all the way back to the year 1005, where Fulk Nerra, count of Anjou and celebrated builder of medieval castles and abbeys, chose to build his powerful and formidable fortress, the Chateau de Montrésor, on a rocky promontory. This romantic and imposing structure is the focal point of the village. With clusters of pretty little homes around its base, the castle emotes a regal presence and sense of security. Even though it looks perfect, the Chateau de Montrésor has seen and survived its fair share of turmoil and wars. It also went through the hands of several wealthy families, but today though, parts of the castle are still used as a family residence and other buildings are now a well-preserved museum. If you’re visiting this photogenic village and looking for a delightful and inexpensive way to spend a peaceful afternoon, the Renaissance Chateau de Montrésor is worth visiting. You can take a 1½ hour tour and wander through the castle and its grounds, experiencing and learning about its remarkable history. It’s hard to believe that by 1849 this beautiful castle had fallen into ruins, but the insightful mother of a Polish exiled magnate, Count Xavier Branicki, bought this property on a whim for almost nothing and rendered it to her son who adored it instantly. Branicki, who was also a close friend of Napoleon III, fell deeply in love with the region and worked earnestly to restore both the village and the castle to its original splendor. Schools for both boys and girls were built, the water supply was restored, necessary repairs were done to the hospital and a small chapel was built in the graveyard. During a twenty year span, the count put new roofs on the castle and furnished the interior of the castle in opulence with lavish and valuable furniture, fixtures and paintings. He was recognized as a notable art collector and patron of Polish artifacts as reflected in the castle’s furnishings. Montrésor owes its preservation to this kind count who was smitten with its enchanting beauty. The village itself is unspoiled and still reflects the ambience and charm of its predecessors. Narrow lanes, half-timbered and vine-clad homes, fragrant flower boxes and pedestrian marketplaces feel like you’ve stepped back several centuries. Local activities include horseriding, angling and watersports. 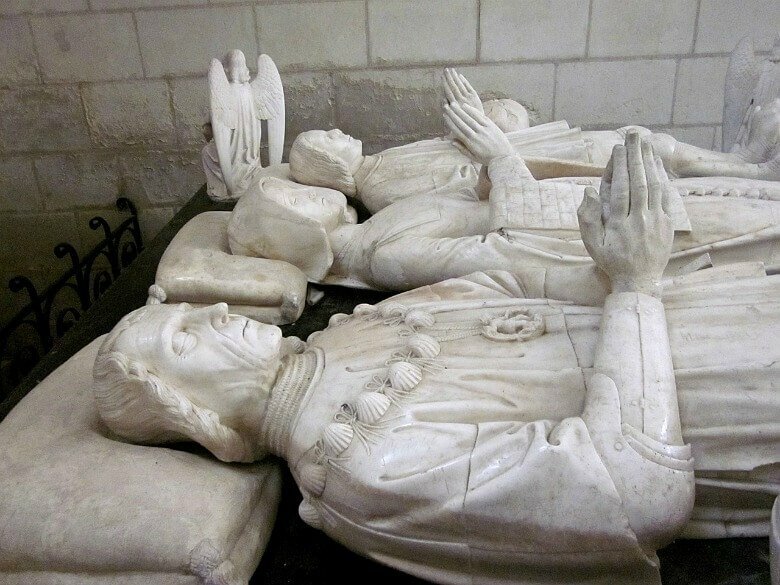 You can also visit the Collegiate Church of St John the Baptist with its gorgeous white interior, stained glass windows, and tombs of Imbert de Bastarney and his wife. Imbert was the chamberlain and diplomatic advisor to King Louis XII, Charles VIII, and Francois I. He also died in Montresor Castle on May 12, 1523. If you drop by the local tourist office, you can pick up a map of the maze of pretty walks around the attractive countryside of Montresor. Wander and enjoy the peaceful surroundings. 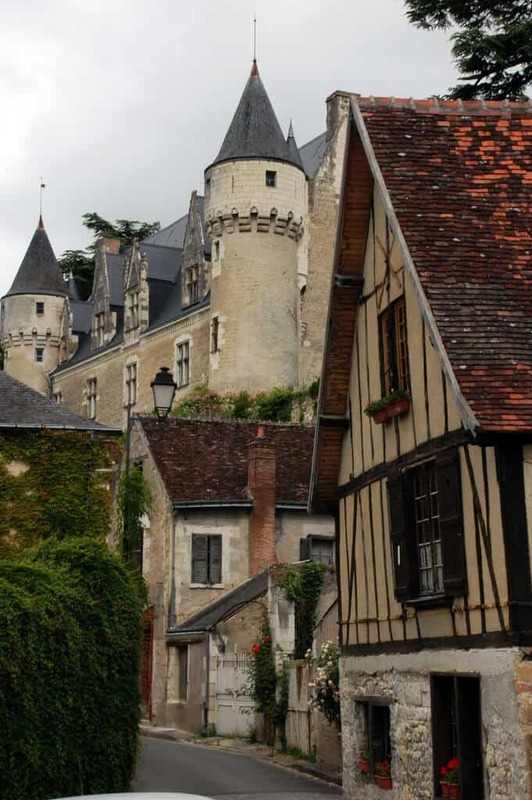 Other sites to see include driving over to the nearby medieval town of Loches where you can experience its castle and walk its historic narrow and traffic-free streets in the old town. 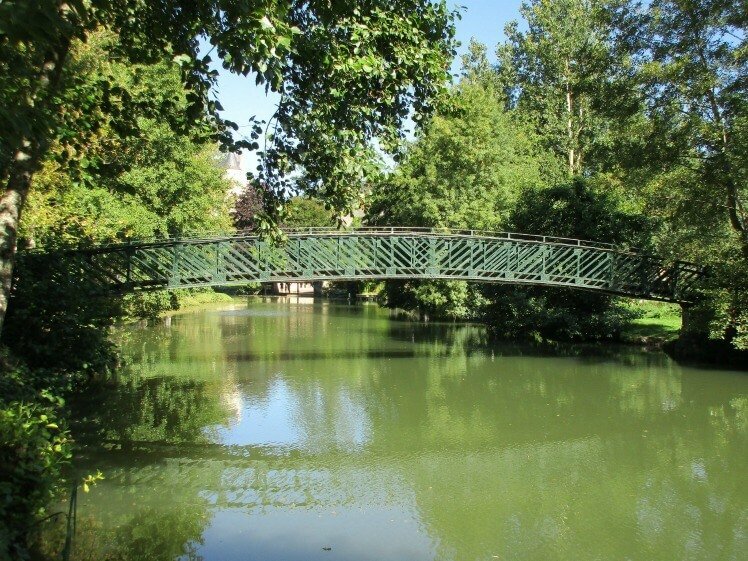 Loches also boasts the title as being the best-preserved town in France. There are lots of little shops, flower markets, cheese stalls and restaurants and bistros. The villages and scenery in France will never let you down, there is always something pulchritudinous to see and experience. Chateau de Montrésor is on my bucket list! I love visiting places and learning the history. I haven’t gotten to France yet, but there is so much I want to see when I finally do go. Love your photos! I’m glad you were able to filter or ignore all the rudeness and enjoy the beauty! Your pictures and descriptions are gorgeous! This looks like beautiful place for a vacation. I love all of the ancient architecture, it’s beautiful ! Looks like a beautiful place. We had similar treatment in Italy. I think it just depends on where you go and who you encounter, unfortunately. What a beautiful place, nothing built these days would last even half that length of time. I do agree with you that the French aren’t the friendliest people I’ve met. I remember a girl I worked with in Denmark who was Franco-Canadian mentioning this too. She was also astonished that they didn’t even try to understand her Canadian French, though I must admit it is a lot different to French French. She was very upset about her time spent there and left early. Its a pretty village. French people are in general stand-offish (as are most Europeans to state it bluntly, they do not get the North American “friendliness” and its weird to them)… I grew up in Europe and have lived in various Western European countries both in my childhood and in parts of my adulthood; Paris was okay, it was not the best experience, but once I got the feel it was not too bad. Wow this is just a fascinating and beautiful place… I’d love to travel to France. Love the castles and churches. Your photos are amazing . I have not done much traveling outside of USA and Canada. Only 1 trip I have made abroad and that was to Australia which was amazing. It was a meet the family trip on my mums side after she passed. The scenery there was also beautiful. This looks like an amazing region in France to visit! This place looks so interesting with all its history. I was in France in May. We stayed in Paris for 4 days took the train to Versailles. From their we had a rental and went to Mont Saint Michel and we drove to Beaumont Hamel and Vimmy Ridge. I would love to go back and visited more of the country. Love your photos. This looks like such a picturesque village. I love the beautiful architecture. Looks beautiful. I’d love to visit. Chateau de Montrésor is so charming and beautiful! Wow – so much history! It looks idyllic. Castles have always been my favorite time in History. History romances were my favorite to read as a teenager. It wouldbe a dream come true to go there. You make me feel as if im there walking the grounds and village with you. If you taught history I Prolly wouldn’t of fell asleep . LOL. THANK YOU!! A very beautiful place , an intriguing lovingly restored castle , interesting history in a charming village. The images drawn you in I know I would love to visit. I appreciate the refreshingly candid comments in this article, and agree that there are many lovely areas that invite exploration. Thanks for sharing. Wow seeing the sights of the village Montr’esor France sounds wonderful ! Would love to be able to travel to France & see the different villages with their small allies and different shops. Montr’esor & Loches France both sound very beautiful & interesting to visit. Beautiful pictures; it looks like there are many many beautiful and interesting things to see there. Absolutely gorgeous looking area, visiting France is a dream of mine! I would absolutely love to visit this place if I were able to have enough time to visit all the cool places. This is the type of travel I love the most going to areas that are more remote than the bigger cities where people do not make an attempt to be kind. Neat, thank you for the article and photos. I have liked to look at pictures of castles for years, wondering how long it takes to build. And they would last for a very long time, and can be so unique and spacious. Lots of room to move around and can be decorated so many different ways. I saw castles when watching vampire and other creepy movies, but just like to know that they aren’t real – thank goodness. Europe itself is where my ancestors are from, Germany, Poland, and Czech. The photos of France are very beautiful, looks like nowhere that I have ever been. It would be a wonderful experience to taste their recipes too. Other countries do interest me, it is a big world out there to see as much as we are able to. What a great spot and so much to see. It would be a perfect place to add to a longer holiday travelling in France.